Top Five Best Capsule Coffee Machines For 2019 - Which? We reveal the best - and worst - coffee pod machines you can buy. 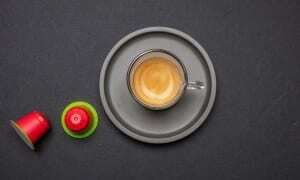 Find out if Nespresso, Tassimo, Lavazza or Dolce Gusto models make the list. Capsule coffee machines such as Nespresso machines are the ultimate in convenience if you want a quick, consistent coffee with minimum hassle. The main difference between capsule machines and traditional ground coffee machines is the capsule system. You simply put a pre-prepared coffee capsule into the machine, press a button and your espresso is ready. With ground coffee machines, you need to measure out and prepare the coffee yourself. A pod coffee machine is typically cheaper than a traditional ground coffee machine, too. You can get a Best Buy capsule coffee machine for less than £50, but bear in mind that capsules cost more to buy in the long run. Most pod coffee machines only take one type of capsule, so it's worth making sure they can make a tasty coffee before you buy. And, as each capsule brand makes a variety of machines, you'll want to get the machine that makes the best brew and is easiest to use. We've rounded up our top five capsule machine picks in the table below to help you quickly choose the best model for you. Only logged-in Which? members can view our recommendations. If you’re not yet a member, you can get instant access by joining Which?. This coffee machine couldn’t be easier to use, but it gives you more control than most over what’s in your cup, whether you want a quick caffeine hit or an indulgent frothy creation. It’s quiet and incredibly quick, producing an espresso in less than 30 seconds. It scored top marks in our taste test too, securing its status as a Which? Best Buy. 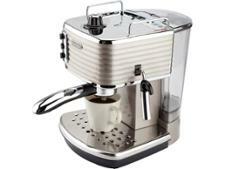 This Best Buy coffee machine, which uses Nescafé Dolce Gusto coffee pods, is user-friendly and makes a delicious cup of coffee without keeping you waiting too long when you need that caffeine hit. This machine is a great choice if you like a larger brew, as it can handle a range of cup sizes. It makes excellent coffees, extracting maximum goodness from the pods and producing drinks with a satisfying frothy crema on top. It doesn’t come with any way to froth milk, though, so it’s probably not the one for cappuccino fans. Need more advice? See our guide to buying a capsule coffee machine. You might think that one capsule machine is pretty much the same as another, particularly if they use the same capsule system, such as Nespresso - but our tests have shown that isn't the case. We've found some models that fail to impress on taste, turning out an underwhelming espresso. These are the pod coffee machines we recommend steering clear of. This premium capsule machine has extra features designed to give you more control over your brew. You can adjust the temperature of your coffee and control the machine from an app on your phone, but the coffee it makes is merely good rather than great. It’s also at least £100 more expensive than most Nespresso machines, and we’ve found cheaper models that will make you better coffee. 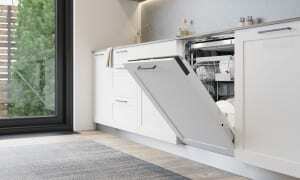 This compact model will appeal to anyone with a small kitchen. But how much do you value a good coffee? It might be simple to use, but the espresso is mediocre and the cappuccino merely average. We’ve tested better machines that use this brand of capsule, so we recommend steering clear. This machine is quick, but the coffee is disappointing. The espresso flavour is dull, and cappuccinos are plain. Our expert called it ‘old-fashioned’. The instructions aren’t helpful, so it’s tricky to even get started, and the results aren’t worth it. What type of drinks do you like? 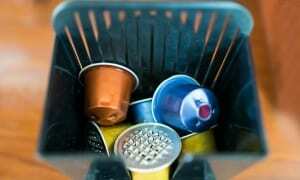 Each coffee capsule brand offers its own range of capsules to use with your machine. You are usually limited to that specific brand's range, aside from Nespresso Original machines, where there is a thriving market in third-party compatible pods. Brands such as Lavazza, Illy and Nespresso focus on espresso-style coffees, whereas Tassimo and Dolce Gusto offer alternatives including teas, hot chocolate and chai lattés. For more advice on picking the best system for you, see our guide to coffee capsule brands. If you don’t want to keep refilling your water tank or you prefer a longer coffee, then a larger-capacity model is what you need. 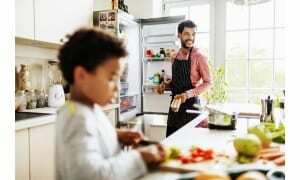 Alternatively, if you have a small kitchen, look out for compact models that won't take up as much space on your worktop. 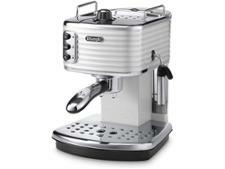 If you want to make cappuccinos and lattés, you'll need either a model with a milk frother, or milk capsules. 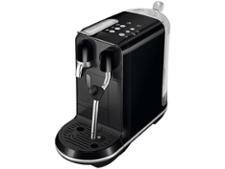 Nespresso, Illy and Lavazza machines can be bought with milk frothing accessories, while Tassimo and Dolce Gusto use milk pods to make frothy drinks. For more advice, see our capsule machine buying guide. Whether you're looking for a variety of flavours, an intense espresso or a frothy cappuccino, you want a machine that will consistently produce good results. That's where Which? comes in. Our rigorous lab testing helps pick the good from the bad. We look at how well each coffee machine makes espresso (and cappuccino, if it has this feature). We time how long it takes to brew and whether it is simple to set up and use. We also check how noisy the machine is and how hot your drink ends up. Find out more in our guide to how we test coffee machines.